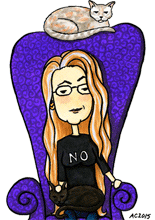 It’s Bookmark Week again, the last one for the year! I think that a bookmark-sized piece of original art makes a wonderful holiday gift idea or stocking stuffer, don’t you? We’ll start the week off with a sliver of a moon hiding half out of sight, with swirling, iridescent mist curling through the black sky. The mist is a color called “duochrome hibiscus” which wavers between a violet-ish blue and fuchsia, and definitely took on the bluer tone here. 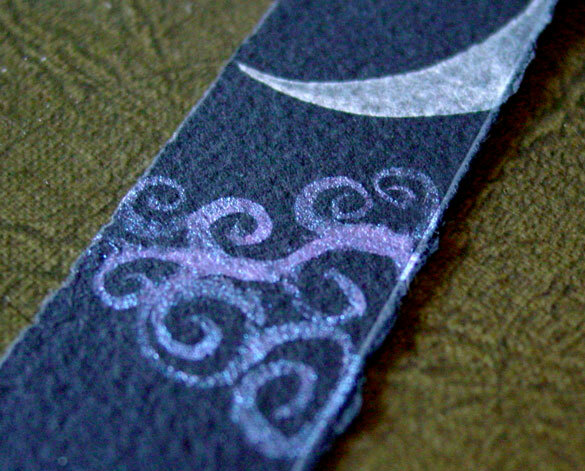 Fairytale Sky Bookmark 2, 1″x6″ watercolor on paper, nfs (sold). Above, you can see a bit of the pink sheen on the cloud, and the tiny embedded sparkles as well. 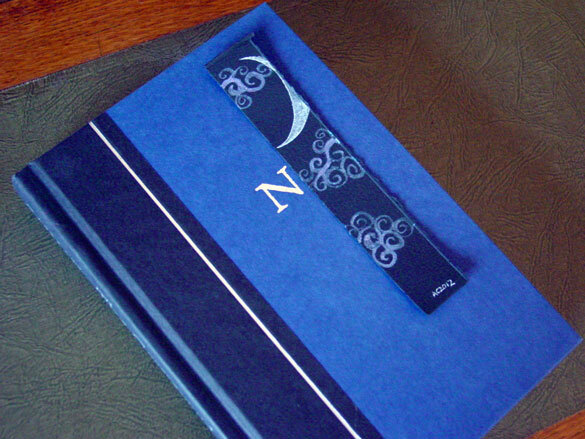 Below, you can see the bookmark with a fairly standard hardcover book for size.